There aren’t very many well known companies making RTS today. The foremost company that comes to mind, of course, when discussing RTS is Blizzard Entertainment, who are set to release Legacy of the Void (after which, who knows whether they’ll return to RTS any time soon). Then there’s Relic, the creators of Company of Heroes and Dawn of War, not to speak of classics like Homeworld and Impossible Creatures. There’s Petroglyph, with Grey Goo and Battle Battalions, and of course they’re known for having made one of the best-ever Star Wars themed RTS, Empire at War. Aside from these companies, there’s Paradox, who is a major publisher that tends to focus on 4X and Grand Strategy, The Creative Assembly, who also tend to focus on their unique Total War franchise (though they’re apparently making Halo Wars 2, which is exciting!) and a somewhat larger collection of smaller studios such as Monaco with their game Tooth and Tail, Special Circumstances with their recently released Shallow Space, and Tindalos Interactive, with Etherium. Interestingly, we’ve seen another publisher step up their grand strategy and RTS game up substantially lately, with a veritable onslaught of 4X and RTS titles released or announced over the past year or so. I’m talking about Stardock, sometimes more popular for their Windows extensions than their games (though they have a long running 4x series of games under the heading Elemental and they are responsible for the beloved space 4x Galactic Civilizations). This year, they have introduced 3 very different RTS with the help of some serious genre veterans, and I thought it was high time that I covered all 3 of these games side-by-side. Offworld Trading Company, which I purchased with my own money as a Founder, is like a distillation of the RTS concept. It’s literally a battle of competing economies, as 2 or more players found businesses and attempt to use money and skullduggery to buy each other out until there’s only one company left standing. Offworld Trading Company trades in the tanks and snipers and space marines for resource manipulation and ordering pirate raids in perhaps one of the most unique RTS concepts out there. 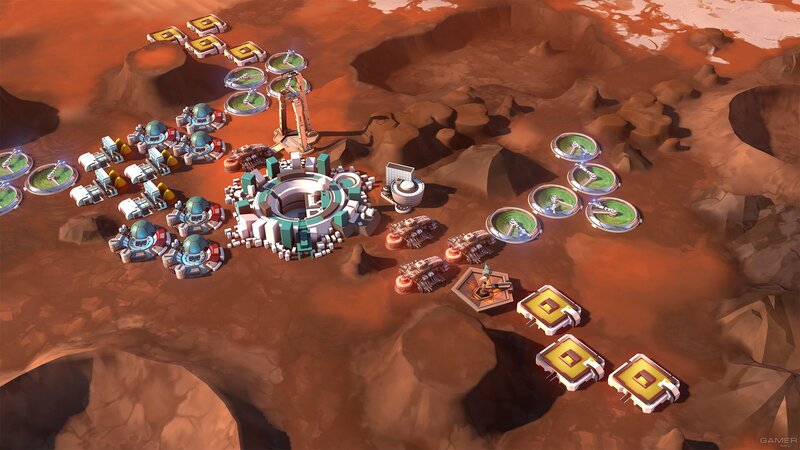 Offworld Trading Company, created by Mohawk studios which is led by Civ 3 AI designer/Civ IV lead designer Soren Johnson, takes nods from classic games like MULE in its attempt to create a tightly crafted competitive economic experience with themes of space exploration, subterfuge, corporate espionage, and dirty dealing. In some ways, Offworld Trading Company plays more like a real time, digital board game than a traditional RTS, with players amassing piles of various resources and engaging in black market operations and bidding wars in their quest for financial dominance. Decisions such as what resources to generate, how much debt to accumulate, when and if to purchase items off the black market, etc are incredibly non-trivial as non-optimal decisions are difficult to change after the fact. This design promotes that ruthless self-analysis that RTS fans tend to crave, even without the overt combat systems that most RTS utilize as core mechanics. Despite the game eschewing traditional tanks-and-soldiers fare, the game is itself fraught with tension from the get-go, as players have to manage a large porfolio of interdependent resources, trying to buy low and sell high on procedurally generated maps with limited efficient options for resource operations that’ll win matches. On the flip side, players have options right up until they’re bought out, with the ability to use the Black Market, purchase sabotages, and/or go into debt as high-risk, high-reward strategies to claw themselves back into the running. This is also perhaps the only RTS I can think of that allows players to choose their faction after the match starts. True, factions in Offworld Trading Company are little more than a collection of buffs and attributes, but it feels very tactical to be able to react to opponents or map/resource conditions with erudite faction choice. I hope to see more RTS experiment with similar models in the future. I’m going to come right out and say it: I love Offworld Trading Company, mechanically. It’s a joy to describe, and even more interesting when its creator, Soren Johnson, streams or discusses it himself. But, personally, I struggle to find the moment-by-moment gameplay interesting. RTS games have been, often fairly, accused of forcing users to ‘play the UI’ instead of immersing themselves in the game playing out on-screen, and I find this very much to be the case in Offworld Trading Company. Offworld Trading Company, to me at least, is very much a game of managing counters: purchasing claims and building on them leads to more income and more expenditures, and all players together buying and selling have an impact on the game’s informal market, which will increase or decrease the value of the resources being produced and sold. To me, most of the game is watching and considering the rates of income and expenditure, and the actual rate of sale of each resource, which makes for an interesting mental exercise but not perhaps a particularly interesting competitive experience. 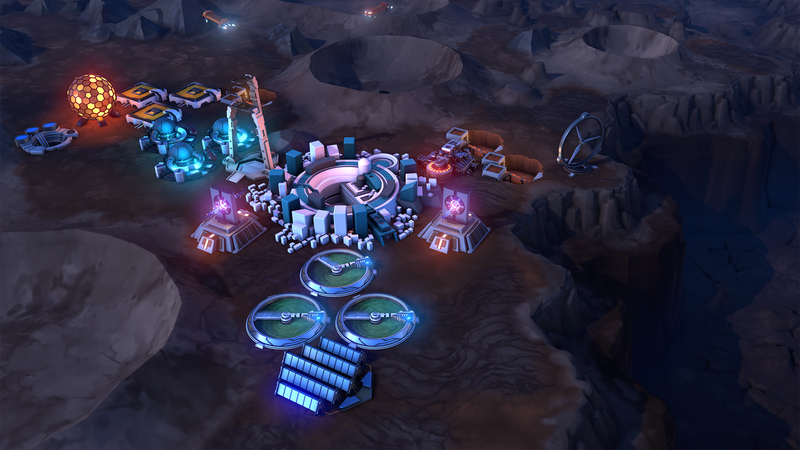 In this author’s humble opinion, the challenge for Offworld Trading Company for drawing in new users is twofold: first, to demonstrate and prove the depth and lasting interest in its concept, which is no mean feat. Secondly and perhaps related to the first point, OTC must leverage its ‘real time board game’ feel to draw in both competitive and casual players. I could easily see Offworld Trading Company being present at a weekly board game night amongst friends, or a family game night alongside traditional board games like Life and Stratego, or Smallworld and 7 Wonders. I can, similarly, see it played coldly and cerebrally in tournaments and on ladders by a class of gamer for whom calculation and manipulation come naturally, and the thrill of hostile takeovers is equal to that of leaving burning craters. The challenge is, selling one or both of these visions to the populace at large. All in all, Offworld Trading Company is something of a paradox to me, deeply fascinating a veritable mechanical breath of fresh air in its approach while I struggle to find the interest in its moment-by-moment gameplay. I continue to follow it very closely and try out the game anew after each patch, but have thus far continued to drift back to more traditional games. Like Offworld Trading Company, I found Servo’s concept to be enticing, and I ended up purchasing Founder’s access to the game. Created by BonusXP, which is headed up by Age of Empires game designer Dave Pottinger, Servo the latest attempt out there to create an RTS where players create their own unit or faction, in this case loosely allied to the MOBA formula. Other games with ‘create your own units’ features tend to ask players to pick their units as a subset of a larger list, typically pre-match (like the Wargame series or upcoming RTS Tooth and Tail) or to design their units in-match from disparate components as does Earth 2150. Servo does a mixture of both of these, having players design hero-like Servo units before the match, additionally having a common unit list in-match for players to utilize against their opponents. And this is where Servo stands out from the rest of the ‘create your own units’ pack, mixing player-driven design with pre-existing, studio-directed design. Servo is looking to balance the strengths and weaknesses in each of these methods to find a middle ground where players are free to build what they want while remaining in a balanced competitive framework provided by the pre-existing units, structures, and tech tree. This model also allows for a high degree of flexibility, with influence from games like WarCraft 3 or even Demigod, where a variety of neutral or map-specific structures are available for players to bring in custom units, or map-specific rule sets that allow for a huge variety of gameplay scenarios. 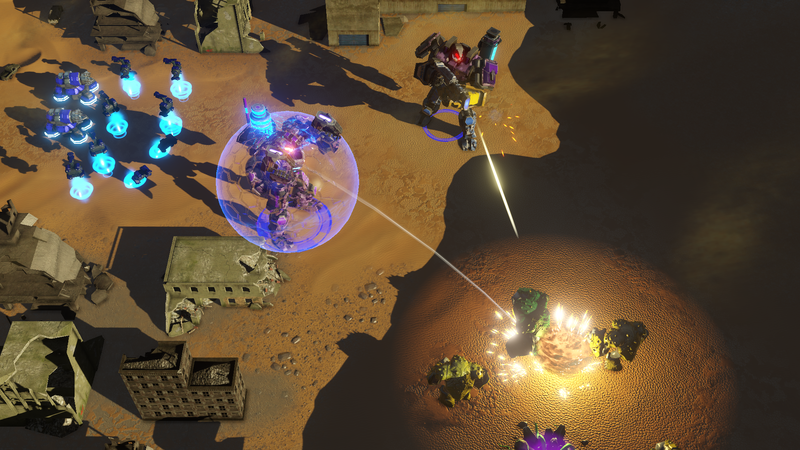 More than any other game in the current Stardock RTS lineup, I feel that Servo is looking to be more of a framework than just a competitive experience, with core systems designed to be used creatively in a variety of ways that should allow for Steam Workshop or Blizzard Arcade levels of customization to occur in both map design and unit/faction design. I think this sort of flexibility is deeply valuable in a game, especially one priced in the $20 range, which is a comparatively low barrier to entry as opposed to the $40-50 or more that AAA games tend to retail for. 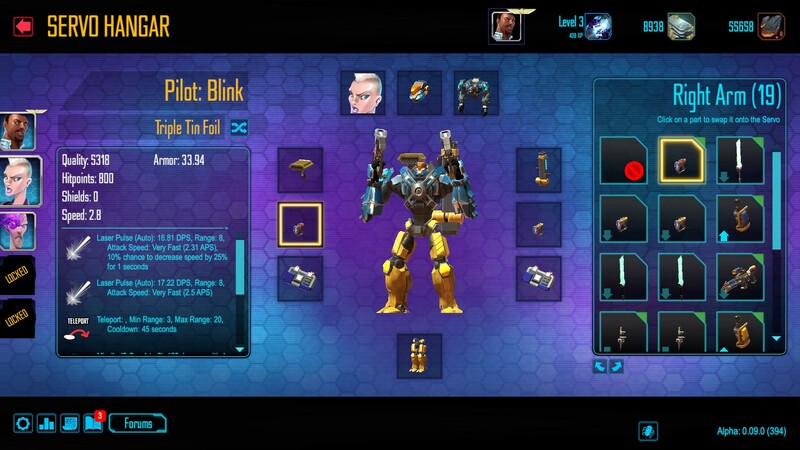 The titular Servo units function something like WarCraft 3 heroes, or the heroes from MOBA titles like DOTA or League of Legends, though they are designed from components outside of normal gameplay, which gives players a chance to be creative and design something unique from the huge array of parts available. Servos also can have impacts on unit power and cost, providing them economic as well as tactical function. Tied to the Servos (players can call up to 3 into battle, taking an apparent nod from WarCraft 3) is an Age of Empires-style progression model called the S-Con Level, which bottlenecks units and upgrades into 3 tiers the player must unlock over the course of a match. Servos and their armies weave a delicate balance of power, with individual Servos being formidable, but conquerable challenges for armies of units, and vice-versa, each supporting and complimenting the other. 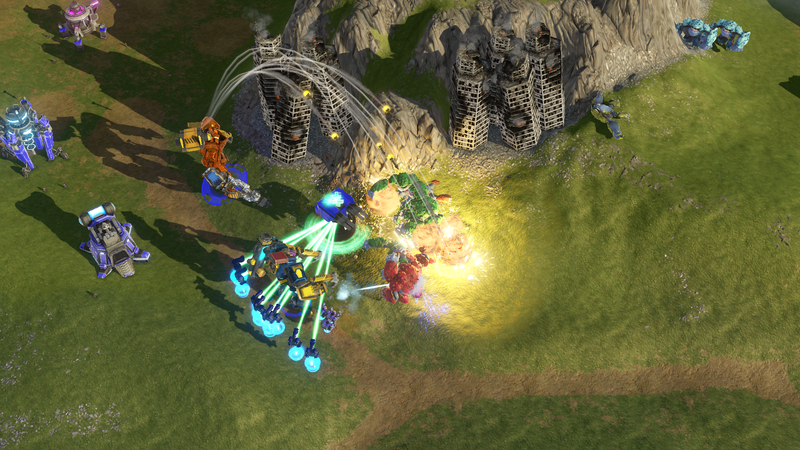 There is traditional basebuilding, with players planting factories, refineries, tech and healing structures, towers etc in support of their effort to control each map’s limited supply of Bloomwell resource deposits and ultimately knock out their opponent’s Dropship, which is roughly analogous to the Ancient from DOTA. In an interesting twist, Servos themselves are free, though tied to individual cooldowns, making them essentially endless in supply. Additionally, Servos are walking territory control mechanisms, as the only way buildings can be called down are via drop zones around each Servo and the player’s immobile Dropship (one change I am hoping to see is the ability to re-position the Dropship, like MCVs from the C&C games). Lastly, the game has no fog of war, making it no guessing game where your opponent is or what they’re up to, though of course combating their strategy is still no mean feat. Servo is in an interesting place. The design-a-Servo mechanic system is interesting and the back-and-forth nature of the gameplay is compelling (at least to me – I feel that Servos reduce the steepness of the Slippery Slope), but the absence of fog of war is a decision that has left me scratching my head, and the fact that there’s essentially only one faction’s worth of units leaves all of the balanced asymmetry in the hands of the player-designed Servos. Like the other two games on this list, Servo is still in early access, and tons of work has been done since the game went live earlier this year. New units and structures have been added, new Servo parts and a new class of Servo, and maps have been redesigned and polished. But the fact that you can see everything your opponent is doing, the precise location and makeup of their forces, combined with the highly deterministic nature of those units and the relative shallowness of the game’s tech tree, effectively removes the whole ‘scouting’ layer from the game. To be more precise, without any uncertainty as to what your opponent is doing, the whole game devolves into a pure efficiency battle, with little mindgames as to whether or not you’re going to cancel this ability, or whether you can get out of range of that ability before it fires. There’s little in the way of (to misuse a phrase from romantical TV shows and movies) “will they? won’t they?” in the game at all at this point, which I sadly feel is a misuse of the potential of the Servos which could possibly add considerably to the tension and mindgames of a traditional RTS. 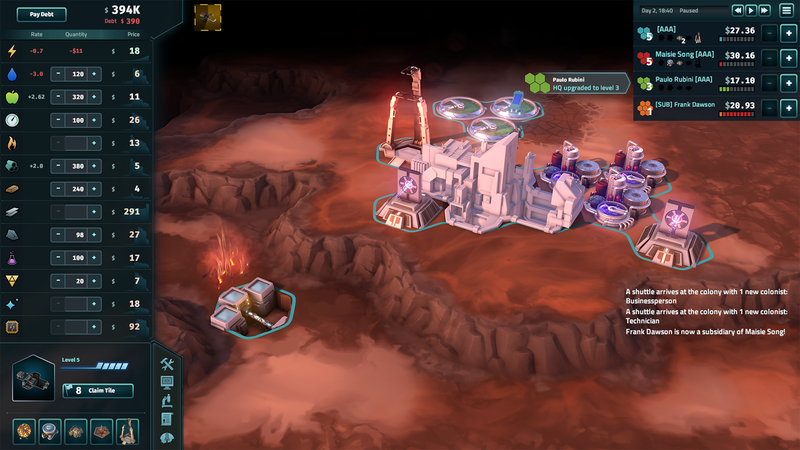 Right now, Servo has a lot of potential, but like Offworld Trading Company, it has a lot to prove to an audience sadly not prone to giving second looks. For myself, I’d be all over Servo if I could consistently find co-op or competitive matches. I hate to do this, but I’m going to open with a caveat: Ashes of the Singularity is still relatively early in its development cycle. Only one faction has been released, and that (seemingly) incomplete, with a relatively short unit list and tech tree. Without seeing both whole factions in action against each other, any functional analysis of the game and its systems is going to be as incomplete as the game itself. That being said, I very much want to share my current impressions of Ashes of the Singularity with you. 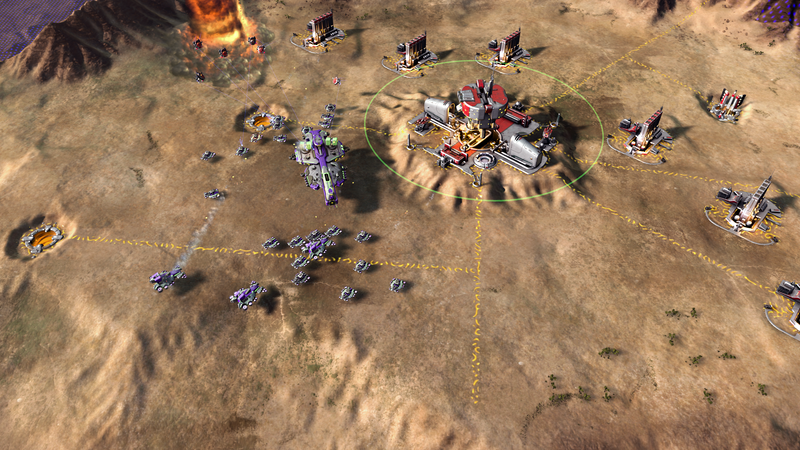 Ashes, as it tends to be abbreviated, is a grand-scale strategy game in the lineage of a Sins of a Solar Empire or Total Annihilation, with a hint of Company of Heroes thrown in for spice. This is a game where the player can accumulate thousands or even tens of thousands of units in a very short amount of time, and which encourages fighting on multiple fronts in the ways that only the Total Annihilation and Company of Heroes are capable of doing (in the humble opinion of this author, at least). 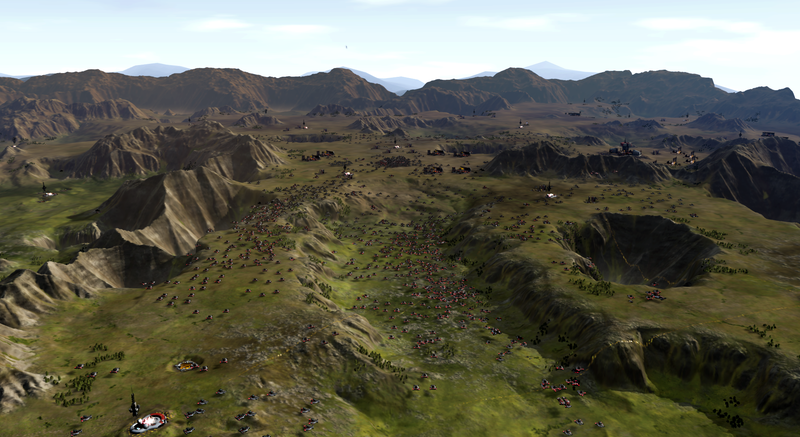 Like TA or Supreme Commander, the player ends up building tens or dozens of production structures and queues the construction of an endless stream of units onto the battlefield. Like Company of Heroes (or perhaps more like the Command and Conquer games? ), these units often have very binary damage types, either being almost entirely unable to damage enemy units of a certain type or being a near- perfect counter for them. Tie this into a Company of Heroes-esque territory control system by which players can have forward resource harvesting cut off by strategic incursion, and you have a recipe for a very, very interesting RTS with a lot of potential depth of interaction. To clarify, resources are obtained by first capturing a sector with one or more resource wells, then building a refinery on top of the well. The captured sector must be linked to the player’s primary structure via a route of connecting sectors. This allows for cut-off points in map design by which players are able to cut off income from forward sectors by capturing sectors closer to their opponent’s base. In a touch I very much appreciate, in addition to the ‘destroy your opponent’s base’ win method, there is also a ‘victory points’ win method very similar to Company of Heroes, where 3 sectors on the map confer a ‘victory resource’ and whoever reaches a predetermined total first wins the map regardless of other conditions. I’m a huge fan of alternate win conditions and in a huge scale game like Ashes, this makes a lot more sense to the author than the traditional ‘kill the leader unit’ model of TA lineage. Also, there are super-units akin to experimentals, though functionally they currently feel more like Tier 3 units to this author. The AI is also very competent, which is a pleasant change, though when things start tipping in the player’s favor mid to late-match you see your typical aimless capitulation. I feel it necessary to point out as well that Ashes is the first DirectX 12 game currently available, with a whole suite of technologies, from the Nitrous Engine that is responsible for allowing so many units on screen at once to the unique model rendering that allows units to look crisp and clean zoomed in and out, Ashes is pushing the boundaries of technology in its quest to be the next big (pun intended) RTS. This is a hard one, as the game is so unfinished. It’s currently an unfair criticism, due to the likelihood of these things changing, to talk about the game’s lack of transport units, naval units (though personally I have never liked this in RTS personally) and lack of UI polish. This is likely to change. The units are fairly slow-paced, which can be frustrating in the early game, but by mid-game is a limiting factor against skyrocketing complexity. First and foremost, the meta-unit is designed to dynamically self-moderate, with units automatically protecting each other and performing functions like repairing other members intelligently, acting like an organism. Unfortunately, at the mid-game time scale the number of units on the field made this feel secondary to me in importance to the logistical operations of getting the right number and compositions of units into the needed map areas. I definitely need to experiment more with this feature to determine its value, but at this point I tend to not create meta units/armies. As a key promotional point, the value of this feature needs to be clear to gamers, and at this early stage not to me. Secondly, for such a large game I currently feel that there is surprisingly little macro and surprisingly little micro. As with most large-scale RTS, the combat at this juncture feels more about getting the percentages of each unit type down right, and about arranging to have more units in the right spot than your opponent. The purportedly COH-style combat systems don’t feel like, to me, that they hold up at the scale of hundreds or dozens of units at this point. Ergo, the largest challenges faced by Ashes are to differentiate from the Total Annihilation breed of games (and the territory control system, which creates lines of supply back to the base sector, a la COH, is a good first stab at this) while delivering on the promised depth of the combat system (which the current evidently unfinished state of the unit list makes hard to determine) and probably to throw in some transport units or teleportation mechanism. Bottom line, Ashes has the potential to be a breath of fresh air in the high-economy RTS market that has traditionally been modeled along Total Annihilation lines, but it’s still very early to tell, as faction design and unit design are going to be a HUGE factor in determining this. The RTS that Stardock are helping come to life all have very unique twists: a board game-like economic cloak and dagger game, a design-your-own unit RTS with no fog of war, a super large scale RTS which has had numerous new technologies developed on its behalf. Each headed by industry veterans with clear visions and a drive to succeed, each with a lot to prove to RTS newcomers and veterans alike. In the case of Offworld Trading Company, a compelling case must be made to the broader audience of casual games, competitive gamers or both for the game’s interest despite (or perhaps because of) its novel model. In the case of Servo, the game must prove its strategic depth and demonstrate the flexibility of its model with the addition of more novel co-op and competitive match types. 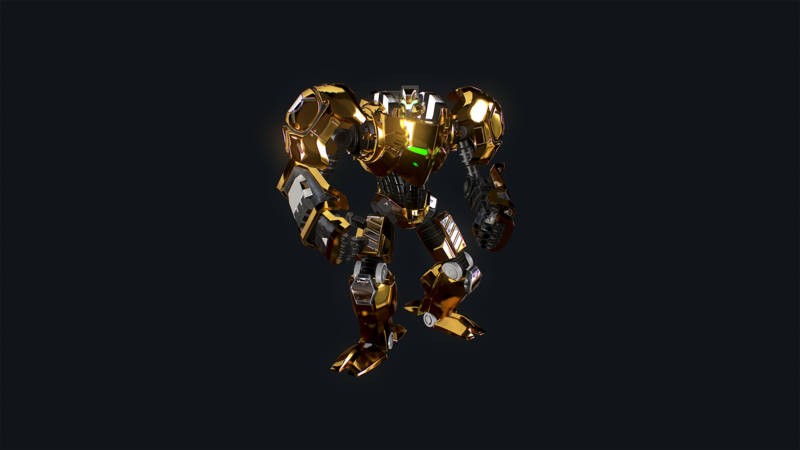 In the case of Ashes, gamers will have to wait and to see if additional content adds spice and variety to the game’s undoubtedly interesting foundation, and to prove the value of its meta-units and rock-paper-scissors damage model. Thanks for reading, I know this has been a long one. See you on the battlefield. Very true. Though each game offers something interesting, no one game scratches any particular itches for me. I guess I am going to wait and see how they develop. I do own OTC at the moment, but haven’t fired it up yet. 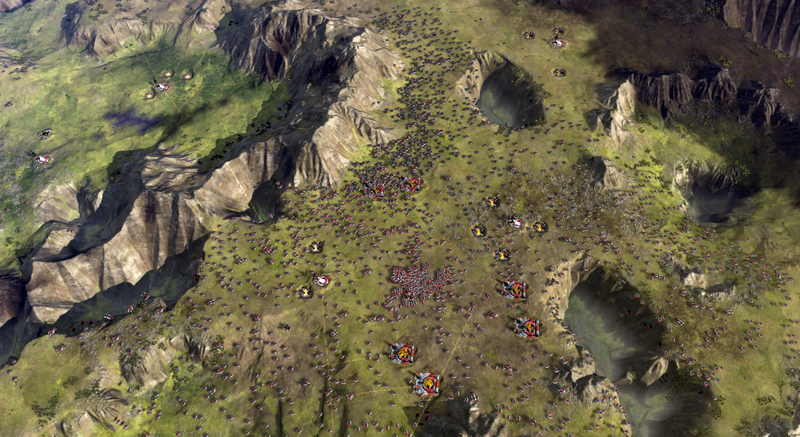 Ashes of the Singularity is the one I’m interested in. The problem is how obscenely high the graphics requirements are. A 2GB dedicated GPU (which I have), 8 GB of RAM, and a four-core processor are the BARE MINIMUM to run it. I really hope they’ll turn down the system requirements a bit, and hopefully DirectX 12 helps (though I don’t see it helping much).